My client Sarah had struggled to create a profitable and rewarding business for almost five years. She was clear on her vision. She’d done all of the work, both inner and outer—consulted experts, taken courses, worked hard to learn all she could, and done her very best to implement everything she’d learned. She meditated, prayed, and used self-discipline to remain consistently positive. Despite her daily and consistent actions, somehow, the mountain she so desperately wanted to move wouldn’t budge. When Sarah came to me, her outlook had gone from persevering optimism, to frustration, and finally devolved into bleak discouragement. Working with me was her “last stand,” she said. If she couldn’t create at least a modicum of success, she was closing her doors. Sarah’s experience is not uncommon. It isn’t limited to work situations either. The appearance of stuckness and stagnation shows up in relationships, personal and professional. It can show up when we pursue life intentions too (like getting pregnant, building a home, moving to a new city, etc.). Nearly everyone who’s created something worthwhile has encountered this sticky, matted, swampy time. Take heart; it’s a purposeful time. It’s life’s way of building the foundation, or muscle, within you to ensure that you are able to competently manage the attainment of your goal. These are character defining times that allow you to demonstrate what you’re made of and who you choose to be in the world. Surrender doesn’t mean give up and retreat. It means to claim peace now, trust that the energy of your actions and intentions is moving on your behalf, make space for a higher answer, and accept that it will come at the right time. Release the fight with life (you can’t win). Show up, continue to give your best, (acknowledge your littleness in the Universe) and let it take care of the rest. For 3 weeks, Sarah and I worked on her showing up in peace and taking positive, relaxed, and detached action. She focused on shifting her outlook and being grateful for all she already had, instead of feeling despair for not having what she wanted. Sarah found a place of peace and true surrender. She began to enjoy the process of living in the present again, instead of being negatively fixated on a seemingly unattainable goal. Six weeks later, the cosmic tumblers of fortune snapped into place. Sarah stumbled onto a high-profile media opportunity in her industry, a client moved his entire business book to her company, and a complementary business invited her to share their gorgeous office suites. Everything changed at once. It often does. She finished the year making more money in 6 months than she had in five years of being in business. 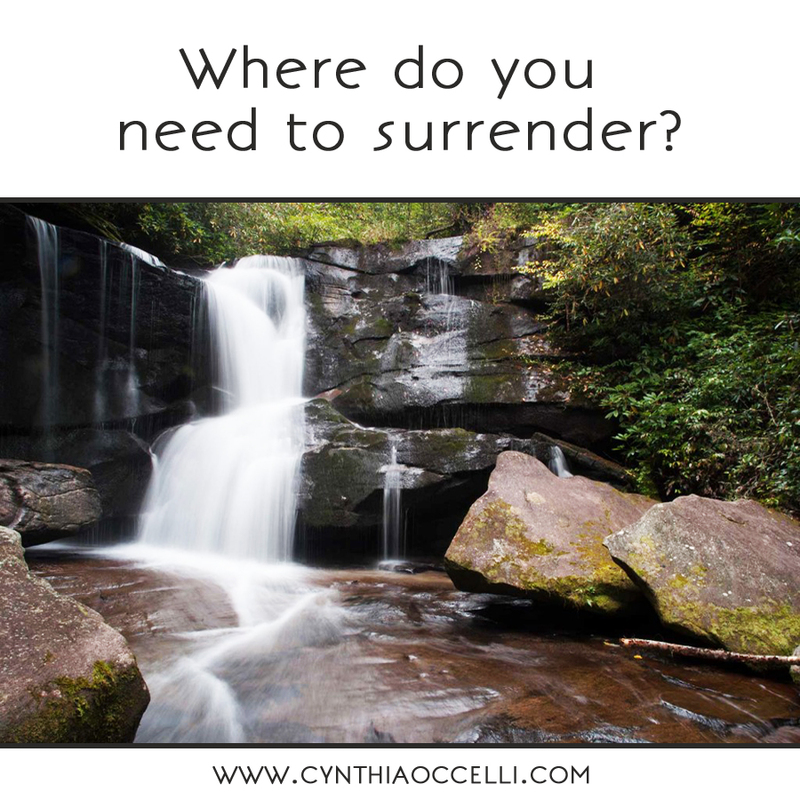 Where could you surrender and get out-of-the-way in your life? 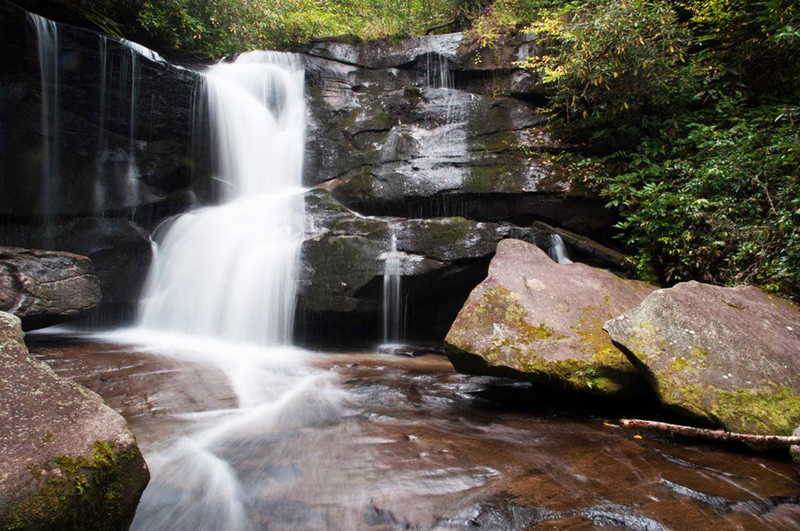 Peace, surrender, and blessings to you. I don’t know how to find peace in my current situation. I’ve been suffering with chronic physical pain and discomfort since last Spring. Doctors have no diagnosis. I’ll have a good day or two and then feel horrible for no apparent reason. i was diagnosed over 20 years ago with Fibromyalgia but had come to a place of acceptance and peace regarding the pain and other symptoms. But last Spring I had a set of new intense symptoms that nearly broke me. I felt completely abandoned by God/Spirit/The Universe. At present I can’t even find a comfortable sitting position to meditate. When I try to lie down to meditate, I fall asleep. I continue to pray, express gratitude for my many blessings, look for the good, etc., . I do not understand what is going on. I was ready to end my life by Summer’s end. In early Fall I began seeing a new doctor and his approach looked promising. Recently iv’e come to realize that he has no idea what is causing my symptoms and therefore no idea how to relieve them. Help. Hi Esperanza, I was 22 when I was diagnosed chronic fatigue syndrome and fibromyalgia. It took me years to figure out a treatment because traditional medicine won’t work. I suggest you to find a naturopath that will help you activate your body’s inner healing habilities. Stress managementdetox and raw vegan diet. Please don’t give up. Someone out there will “get” your situation and be able to support and help you. Esperanza, my heart goes out to you! I hope you find the care you need and deserve. Might I suggest another book as well, “Peace in the Storm: Meditations on Chronic Pain and Illness” by Maureen Pratt. Here is a link: http://www.amazon.com/gp/product/0385510799/ref=gno_cart_title_2?ie=UTF8&psc=1&smid=ATVPDKIKX0DER. Thank you so much for this – boy it sure hits at the perfect moment in my life. I needed this!! You’re words always come at the best timing for me. 🙂 How do you do that?? I love it!!! Peace, light and love to you Ms. Cynthia, you are very graceful with your messages. God Bless you my dear. Thank you so much Cynthia. I needed this today. You are truly a blessing!! !